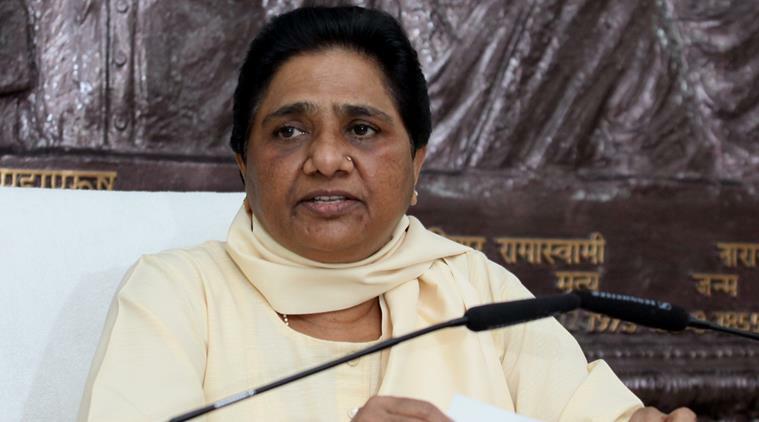 BSP Chief Mayawati at the press conference in New Delhi on Tuesday. Express Photo by Prem Nath Pandey. 22.09.2015. LUCKNOW: A day after the Supreme Court directed BSP chief Mayawati in a “tentative view” to return funds used for building parks and statues when she was the chief minister from 2007 to 2012, the BSP chief said these memorials had been built to honour towering Dalit and backward-classes personalities. She said the parks were a huge tourist draw and revenueearner. Party sources defended use of elephants, the BSP symbol, in parks and memorials, saying these have their trunks pointing down while those in parks have their trunks up and should not be construed as party propaganda. Mayawati, who grandly announced her Twitter presence just days ago, tweeted her reaction to the court order. Her tweet said: “Sthals/memorials/parks built to honour hitherto ignored sants, gurus and great men born in oppressed Dalit and OBC families. These provide identity and regular income to… government from tourism.” She emphasised it was the top court’s “oral observation” and should not be “distorted”. “Sure to get justice in this matter. Media and BJP leaders please stop kite flying,” she said. The final hearing is scheduled for April 2. The petition filed by advocate Ravi Kant in 2009 sought to restrain the state from misusing public funds for political gains. Meanwhile, party sources said these parks held immense importance for people from backward communities. “Look at the crowds that gather at Ambedkar Memorial Park in Lucknow every year on Baba Saheb’s birth anniversary. BJP government has erected a mammoth statue of unity in Gujarat and that has been welcomed. What is the problem with Dalit icons,” said the senior party member.